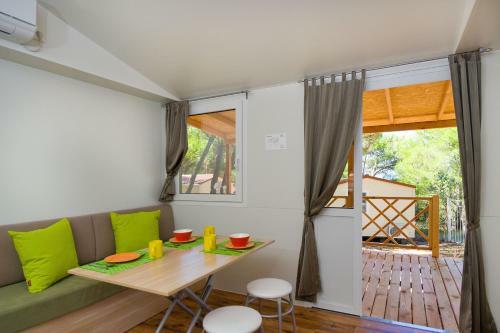 Situated on the Makarska Riviera, in the shade of pine tries and close to a beach, Mobile Homes Adriatic Camping - Baško Polje presents air-cooled units, each with a furnished outdoors terrace and gratis wireless internet access. Free car parking is available on site. Each unit presents a seating area with a TV. 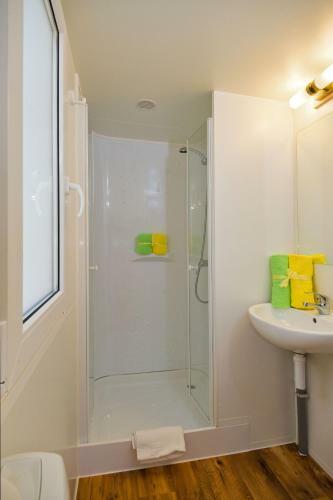 A kitchenette and a toilet with shower are also included. Internet access is available upon previous request. The camp offers an a-la-carte dining establishment, supermarket, pastry shop and pastry shop, all of which can be found in a 100-metre radius. There is also a bar, an ATM and a children's playground. 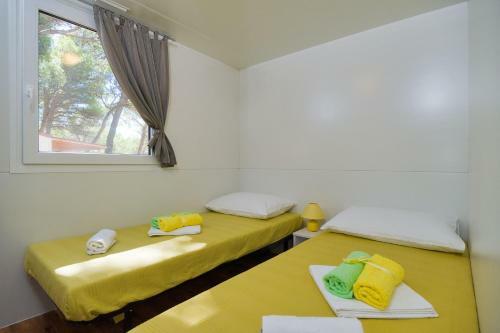 The camp's sport amenities offer basketball, volleyball, football and table tennis. 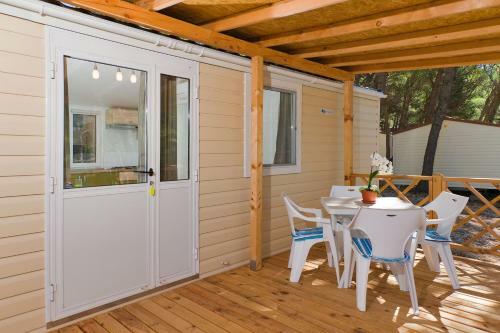 Baško Polje Mobile Homes is set 500 to 700 metres from the beach, depending on the mobile home's location, while the centre of Baška Voda is approximately 1 kilometers away. 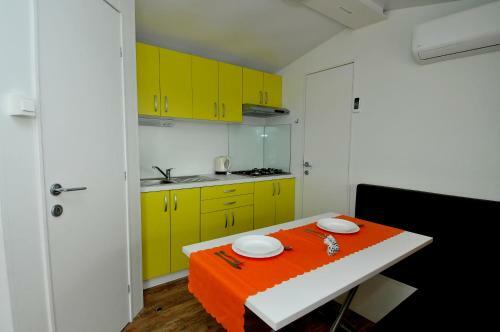 Accommodation, max 8 persons, Baska Voda ~1,9 km, Baska Voda If you are fantasize about perfect family vacation and trouble-free accommodation then you ought to select this villa. Cutting-edge villa is situated just 0.1km from the beach. Distance to the beach: 0.1km. 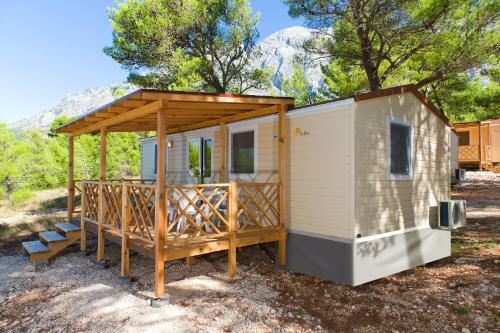 Mobile Homes Adriatic Camping - Baško Polje ~0.1 km, Baska Voda Situated on the Makarska Riviera, in the shade of pine tries and close to a beach, Mobile Homes Adriatic Camping - Baško Polje presents air-cooled units, each with a furnished outdoors terrace and gratis wireless internet access. Free car parking is available on site. Each unit presents a seating area with a TV. 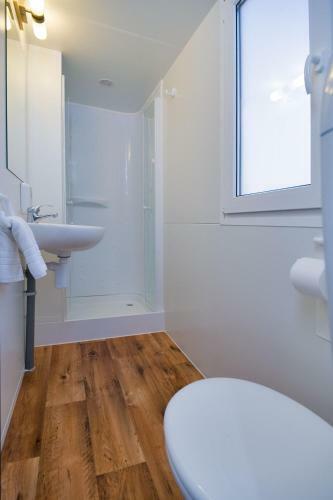 A kitchenette and a toilet with shower are also included. Internet access is available upon previous request. The camp offers an a-la-carte dining establishment, supermarket, pastry shop and pastry shop, all of which can be found in a 100-metre radius. Brela ( ~ 3.4 km ): 120+ accommodation units. Makarska ( ~ 7.1 km ): 856+ accommodation units. Tucepi ( ~ 11.1 km ): 105+ apartments. Beach Baska Voda FKK ~ 0,6 km from Mobile Homes Adriatic Camping - Baško Polje Gravel beach: with caffe bar. Nudism is allowed. Beach Djecje Selo, Tucepi ~ 1 km from Mobile Homes Adriatic Camping - Baško Polje Rocky beach: ideal for families. 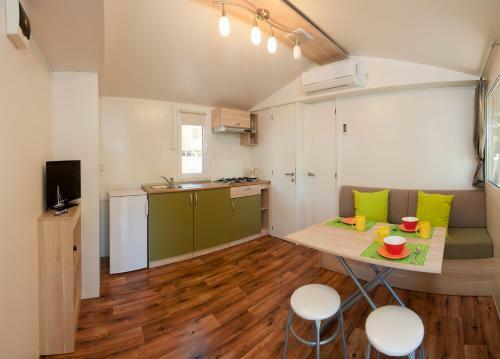 Beach Promajna ~ 1,4 km from Mobile Homes Adriatic Camping - Baško Polje Gravel beach: ideal for families, with restaurant, with caffe bar, equipped with showers. Excellent choice of watersports. 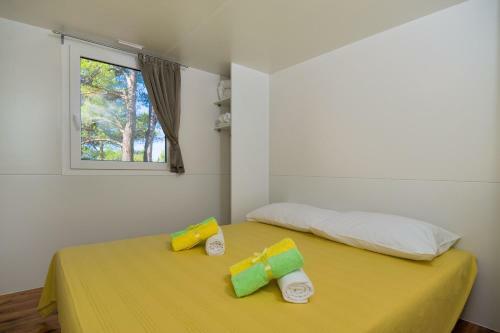 Beach Nikolina ~ 1,6 km from Mobile Homes Adriatic Camping - Baško Polje Gravel beach: ideal for families, with restaurant, with caffe bar, equipped with showers. Excellent choice of watersports. Beach Ikovac, Baska Voda ~ 2,3 km from Mobile Homes Adriatic Camping - Baško Polje Gravel beach: ideal for families, with restaurant, with caffe bar, equipped with showers. Excellent choice of watersports.